For Demo use aldericrecords@gmail.com Music From: Sunil sharpe ,The Horrorist, Arweenn, stanislav tolkachev, invite,pre silent. 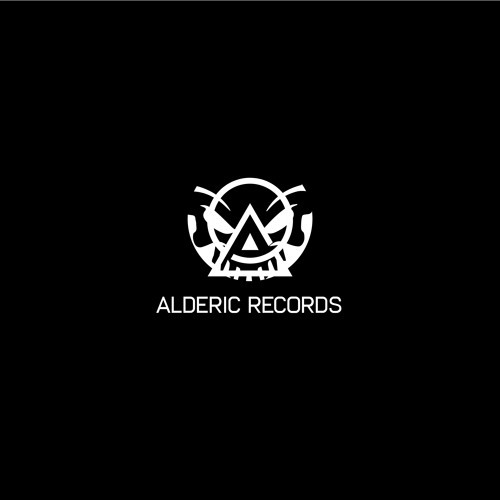 Alderic records is already determined, at the moment of its foundation, as a true avant-garde sonic laboratory for all those who participate in a professional and coherent way to a specific musical language both in the origins and in the prefixed objectives: the Techno genre. Born around March 2018 from an idea of Arweenn, a young and promising producer and dj of the latest generation on the Italian electronic scene who, almost immediately immersed in the great European continent, of which Berlin certainly represents today the new capital in terms of underground environment and inspiration, decides to experience the city and its infinite artistic proposals in first person. This is the starting point for the idea of a label as a project of a future team of professionals who sinergically elaborate an innovative music code and an effective and engaging broadcasting platform. Thus, basing on the recent sustained speed Tecno, the parable of Alderic Records is designed, which aims to transmit its skills primarily during performances and showcases, which preserve, in the passage from the producer to the listener, the audio-visual complexity without altering the content and returning to the true meaning of Techno as music not only heard, but felt and shared. We believe in the conscious and dynamic approach to electronic music: this is why we want to provide new keys to the interpretation of the sound, which can also enrich culturally Techno music history and tecnique. From these premises is assumed how Alderic rec. makes an absolute essential out of the rule of rigor, respecting the values of any producer worthy of being called so and most of all respecting the values of the listener, of the public, aspiring to create an emotional end alternative symbiosis. According to our principles, post-modern and contemporary Techno music must not betray its origins, but make them a fundamental asset to be combined to obtain new material. The basics are essential: the vynil use is both a practical (to physically arrange the track control) and ideological (in the belief that the real disk is one of the basic symbols of the underground, if not the first absolutely) choice for us. This does not prevent us from traveling in parallel on the virtual, MP3 and WAV level. Productivity must always be thought by finding the right balance between melodic bands and rhythmic writing without imposing one on the other. Our producers must communicate both coherence and programmatic freedom (which are not opposed) in the phase of selection and elaboration (setting) of the djset and in the phase of expression in the liveset. We want to define and propose a sound that is mature and studied in detail, accurate in technique and style, but always deeply nourished since the beginning by the only true passion of those who not only make techno music, but live it.